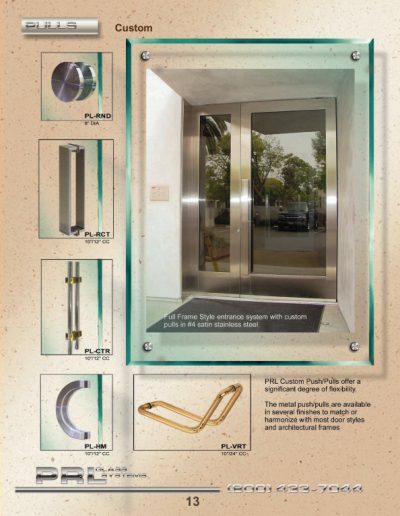 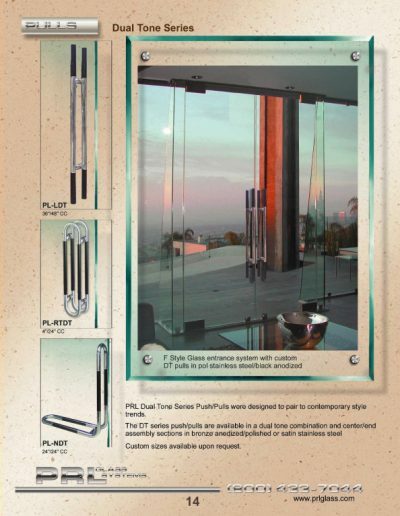 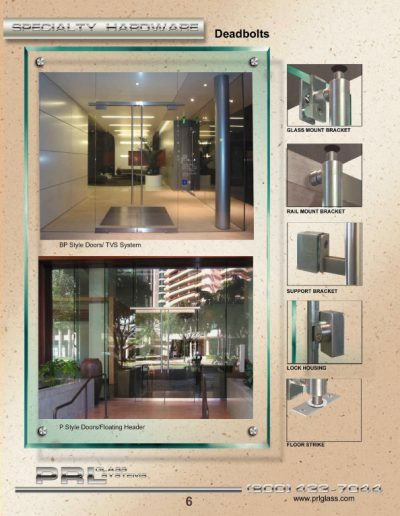 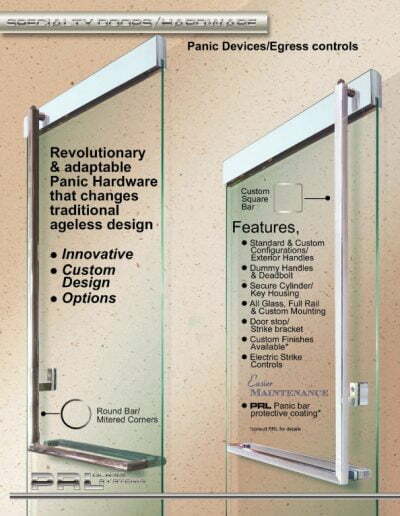 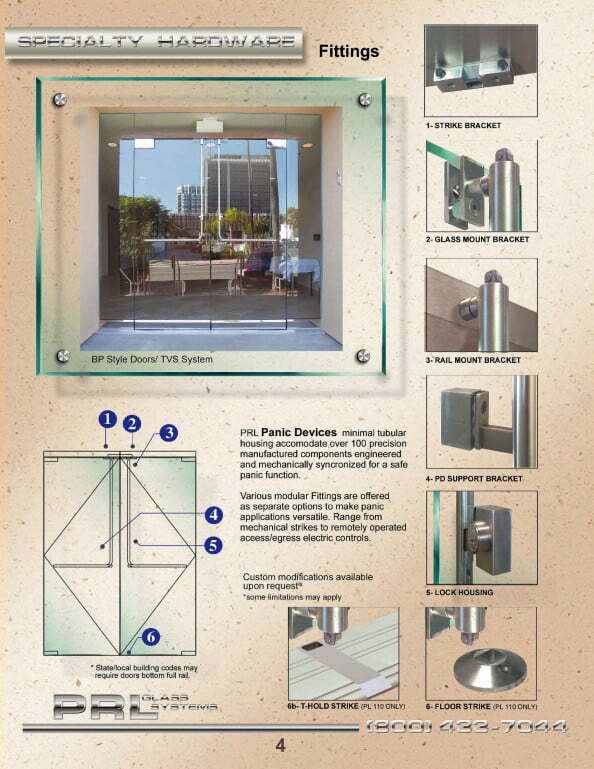 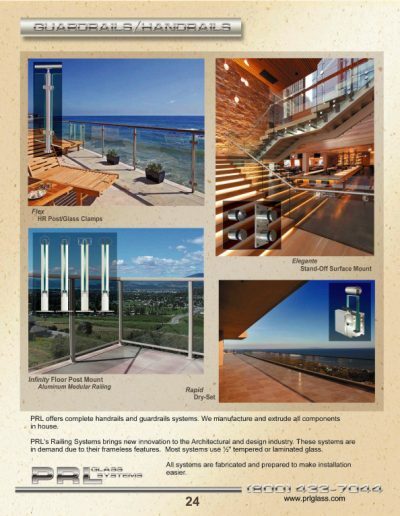 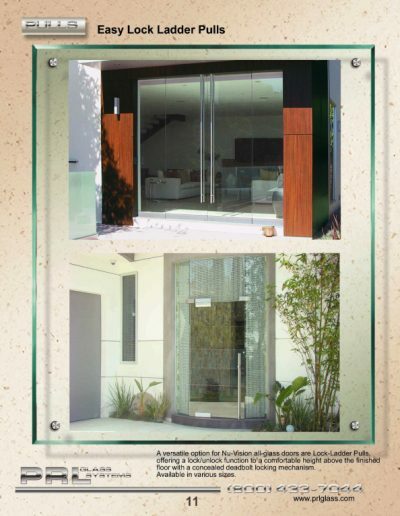 "The PRL Panic device and hardware offer a solution for creating Architectural beauty as well as Building Safety and Security. 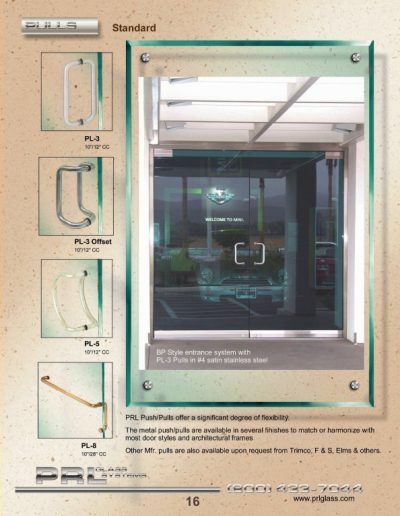 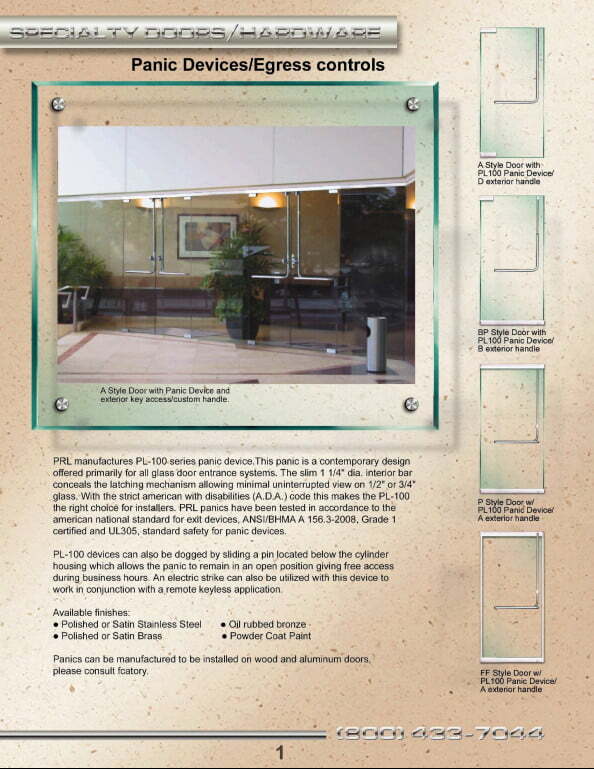 When the goal of an architect is to achieve the most unobstructed "all glass" appearance and still provide for unhindered exit from a building that can be safely secured from the exterior, the PRL PL100 panic device is the answer. 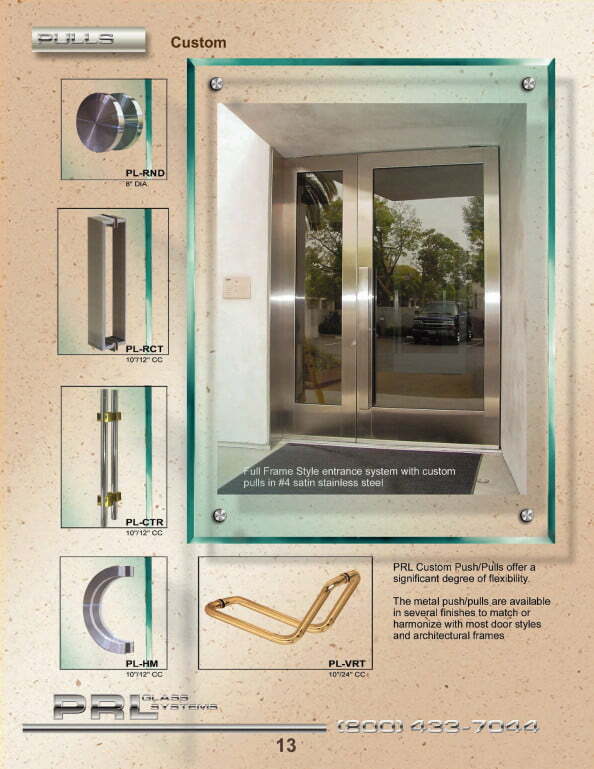 It accomplishes all three functions in one door handle device." "The PL100 is a sleek 1-1/4" diameter tube that looks like a handle but is actually a very intricately designed piece of hardware. 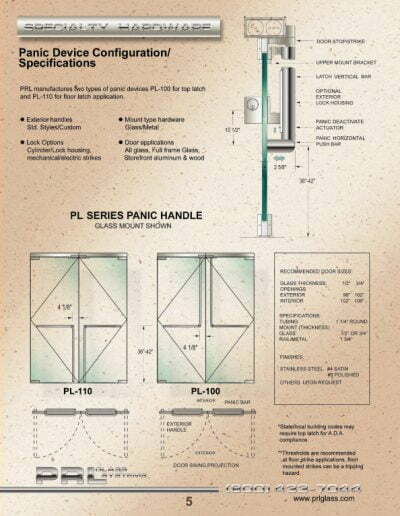 The panic door handle device is an L-shaped tube that is mounted on the inside of an all glass door and functions as a panic device, allowing for free egress from the interior of a building at all times of the day or night. The tubular panic door handle can be locked from the exterior of the door with a keyed cylinder for security at night while at the same time allowing for unhindered exit from the interior of the building." 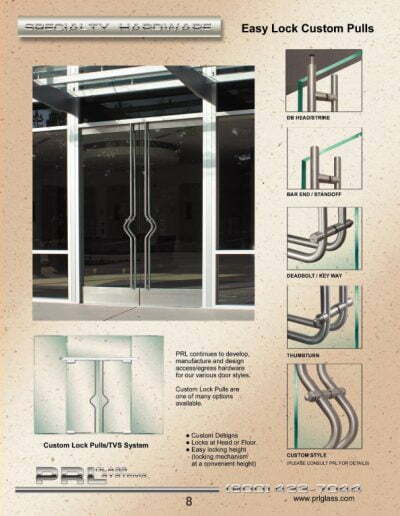 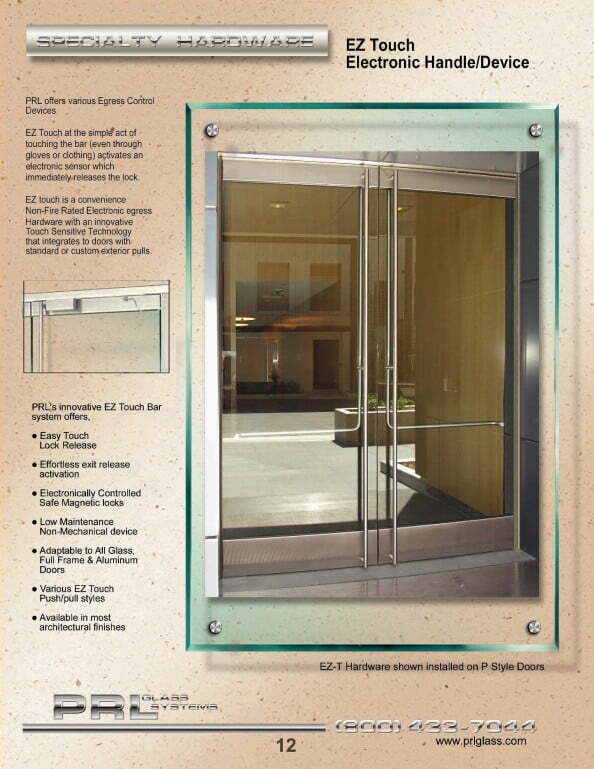 The exterior handle is also a 1-1/4 diameter tube and is available in many configurations. The most common configurations are a simple horizontal pull handle located at the standard 42″ height or an exterior pull handles that mirrors the “L” shape of the interior panic handle device. The other popular option is to use a full-length straight handle that is attached to the top of the door and runs to the bottom of the door. 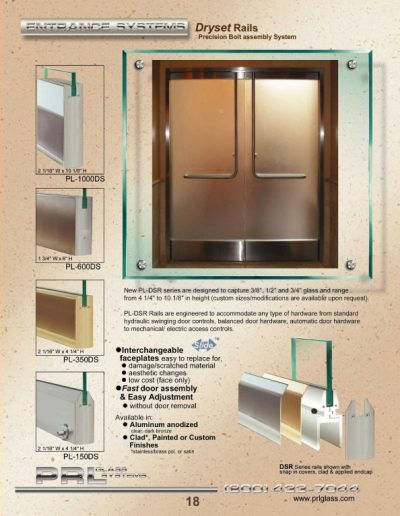 Or it can be made to stop 10″ above the bottom to comply with ADA codes. 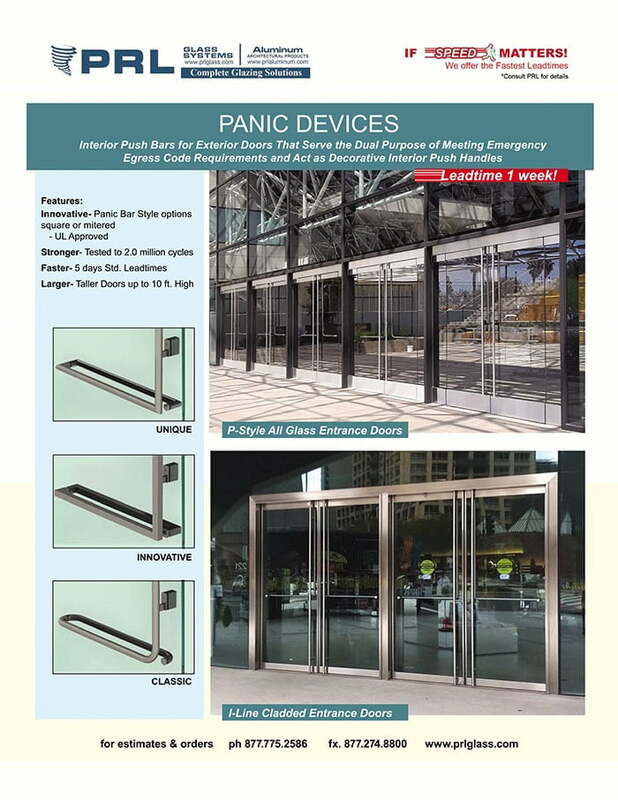 The panic device can be designed to run down the door and latch at the floor but this design is not as common. This design is the PL110 Panic Device. 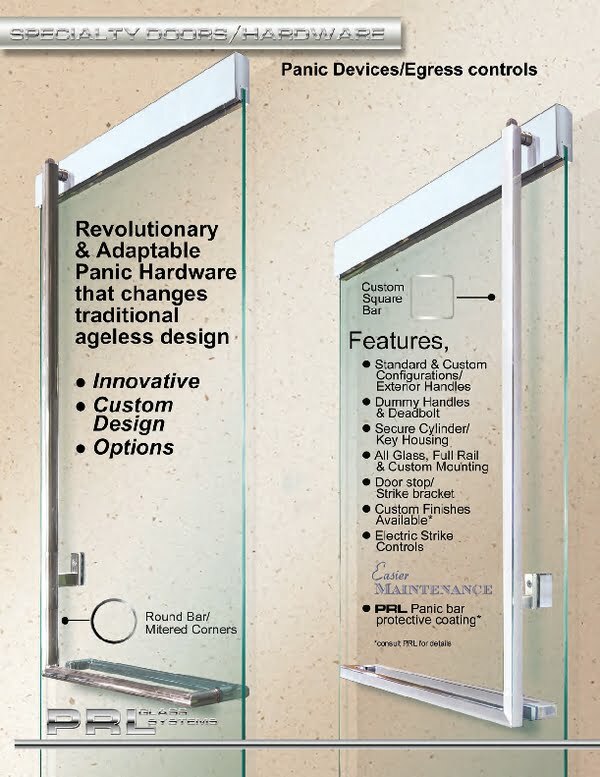 Because this design does not comply with ADA codes it is less commonly specified. 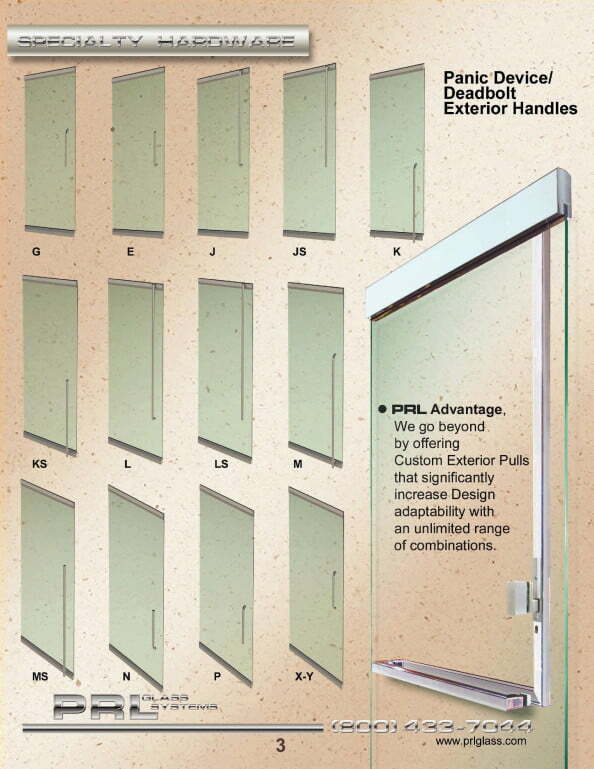 PRL is always open to custom applications so exterior pull handle options, hardware lengths or configurations can be custom designed. 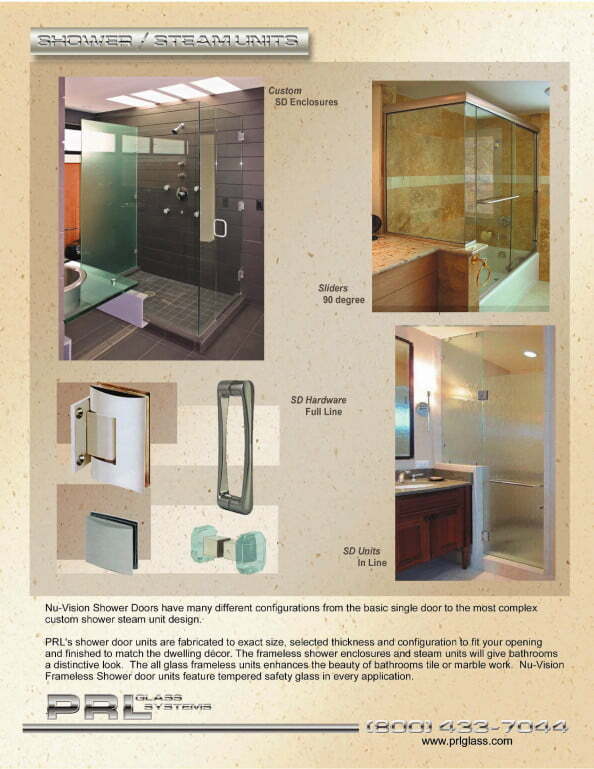 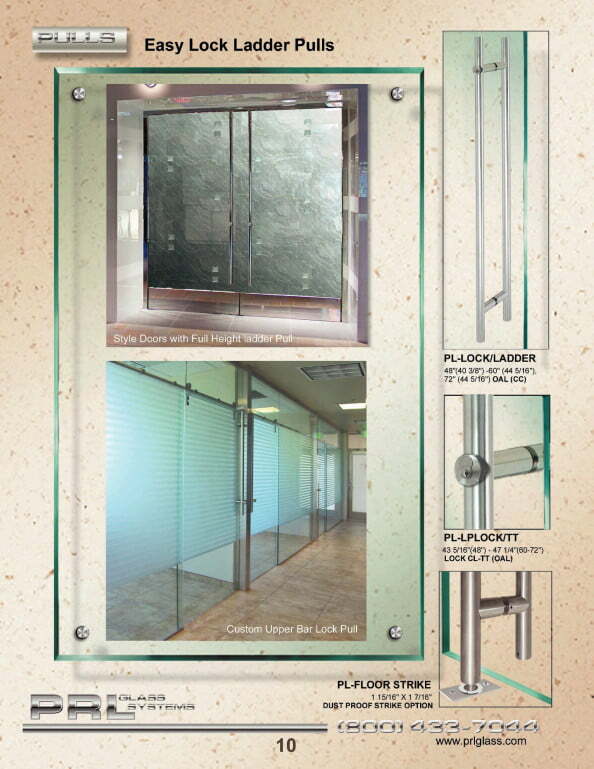 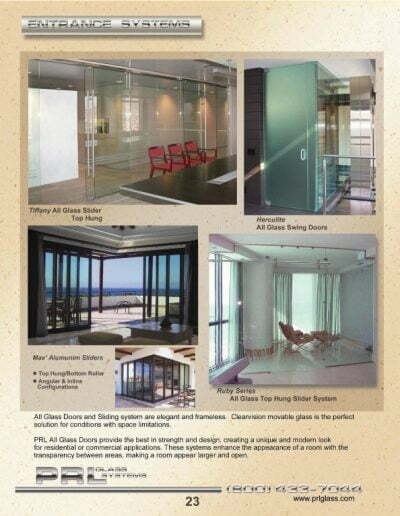 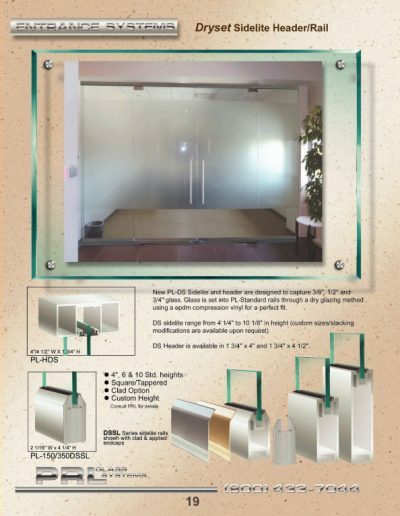 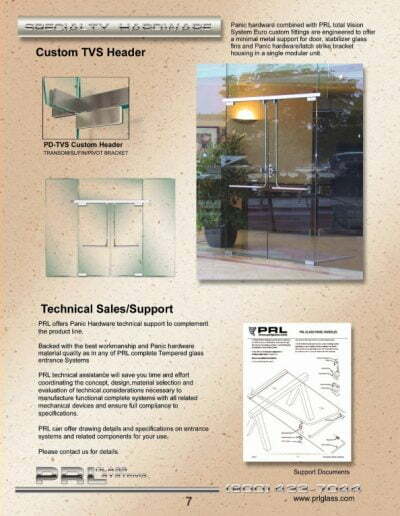 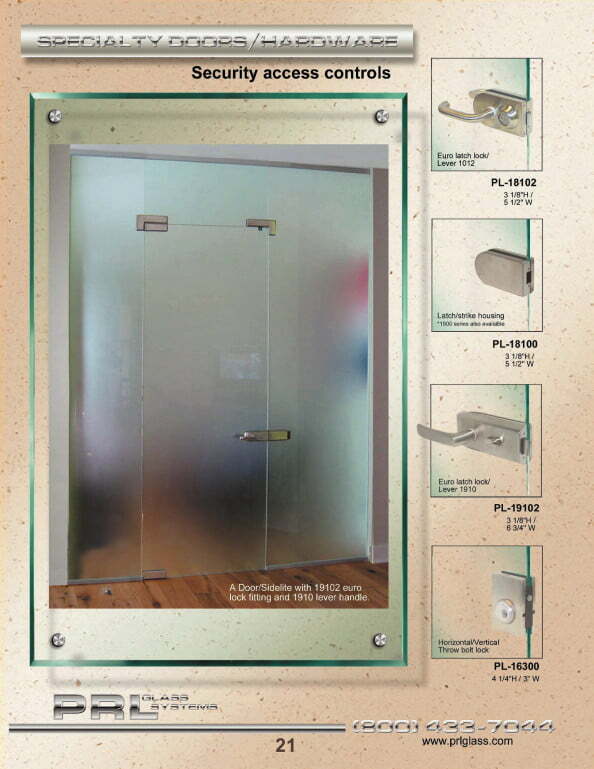 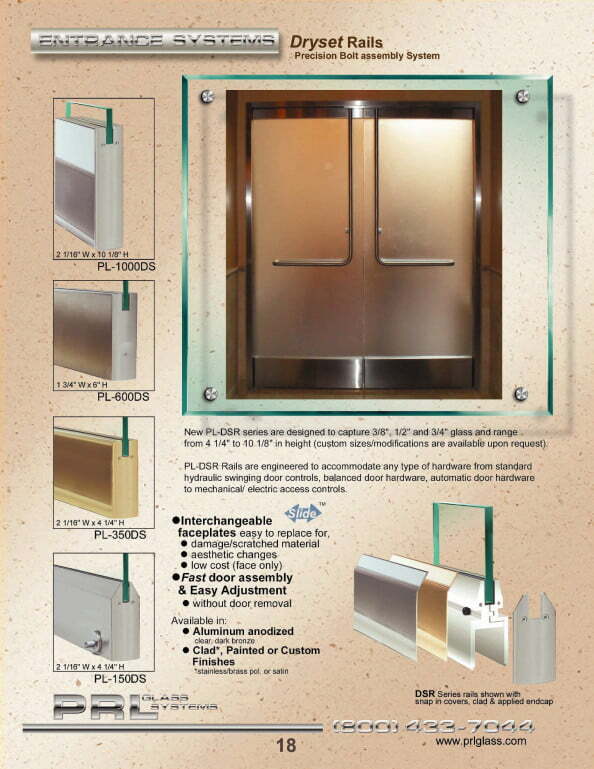 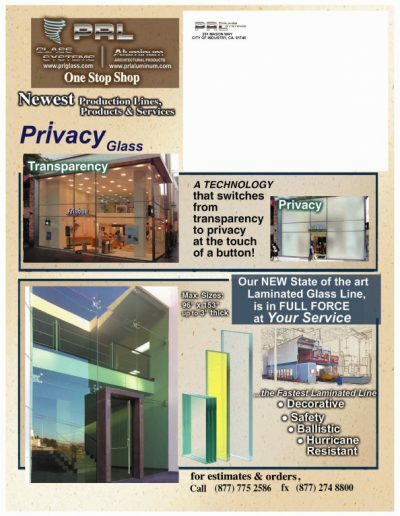 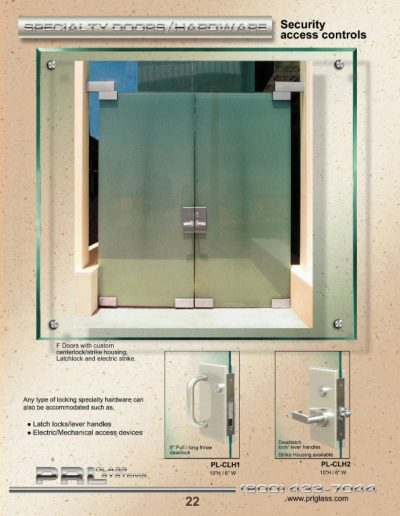 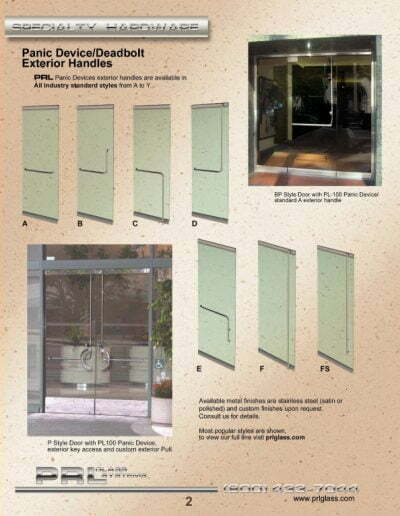 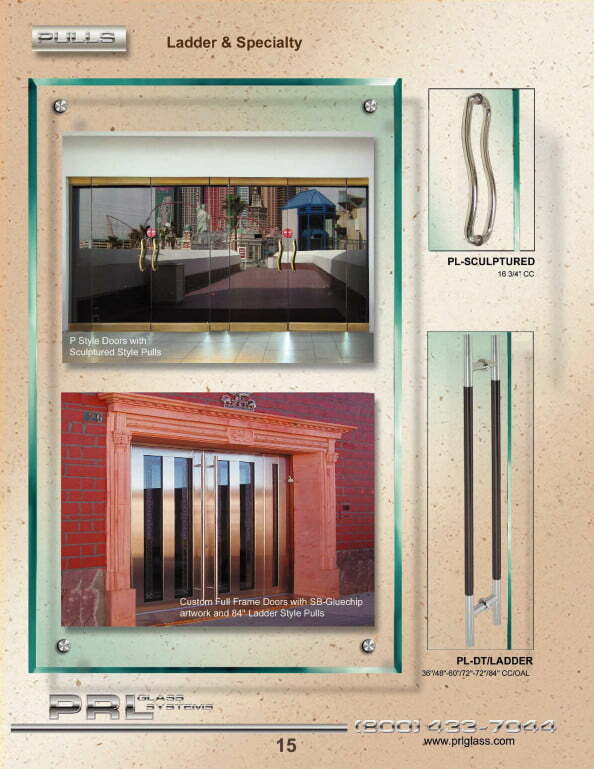 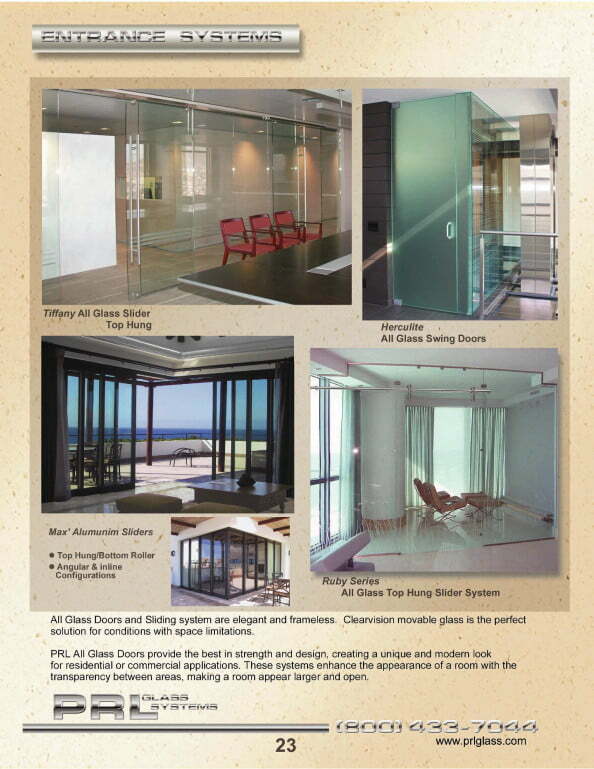 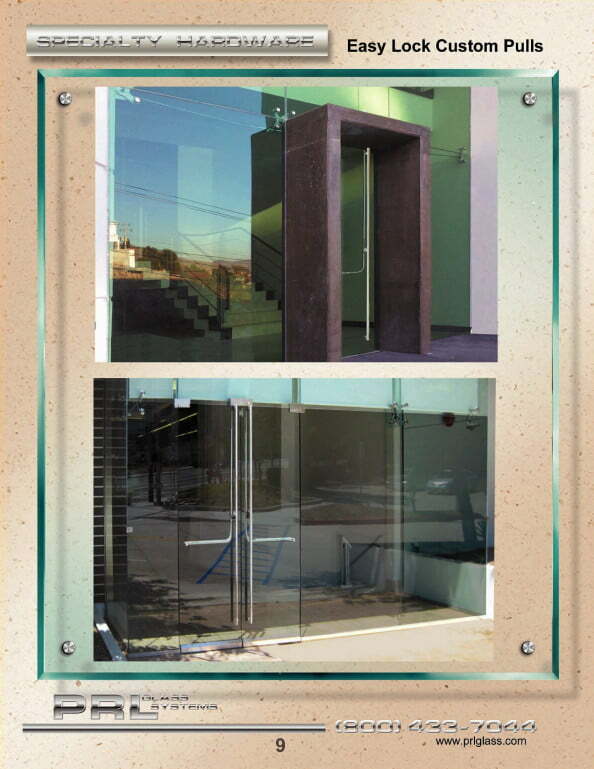 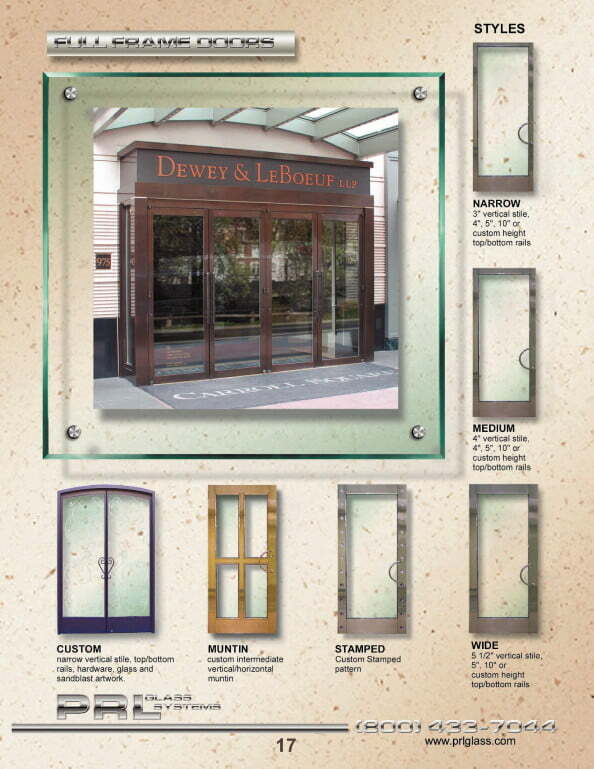 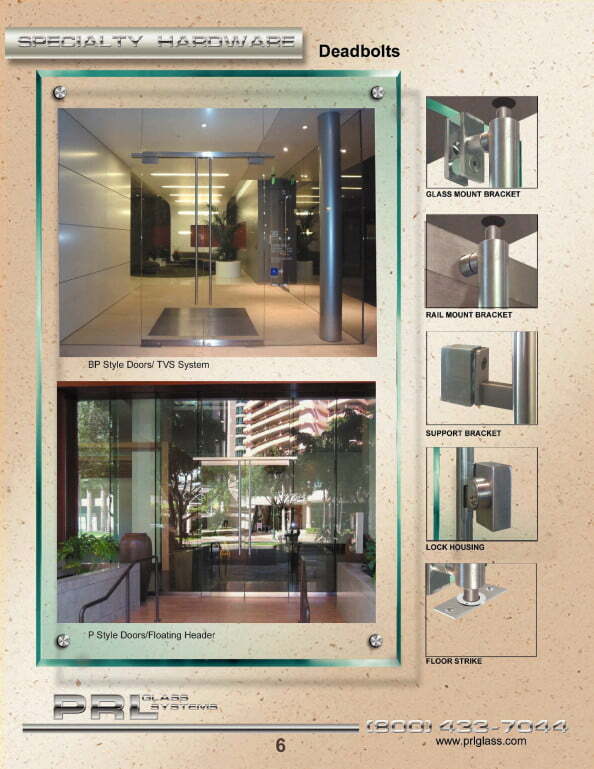 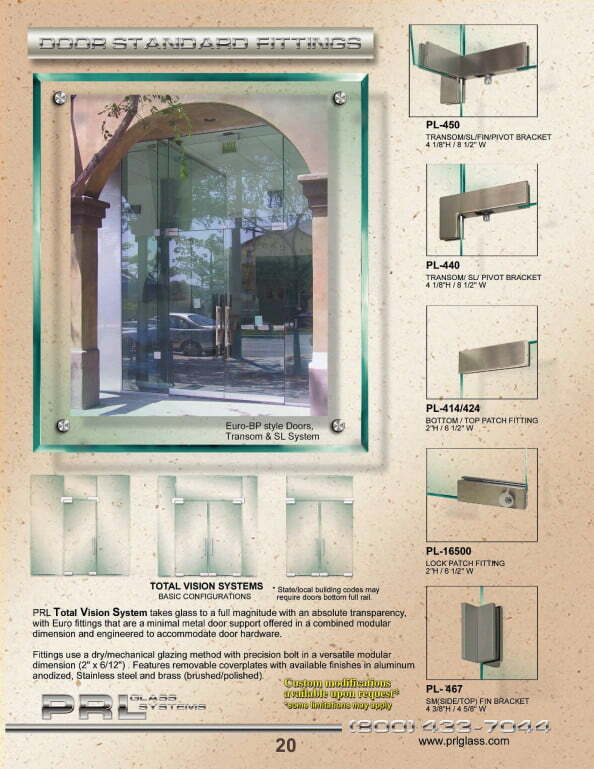 Please contact our Door Design Department @ 877-775-2586 for more information.